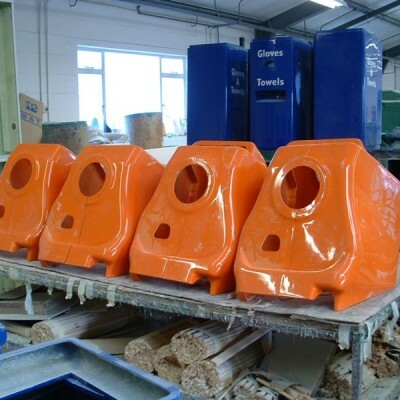 A P Hollings are active in all aspects of GRP from producing our own patterns and plugs in house, from hand lay up of bespoke one off prototype through to low volume quantities of mouldings. 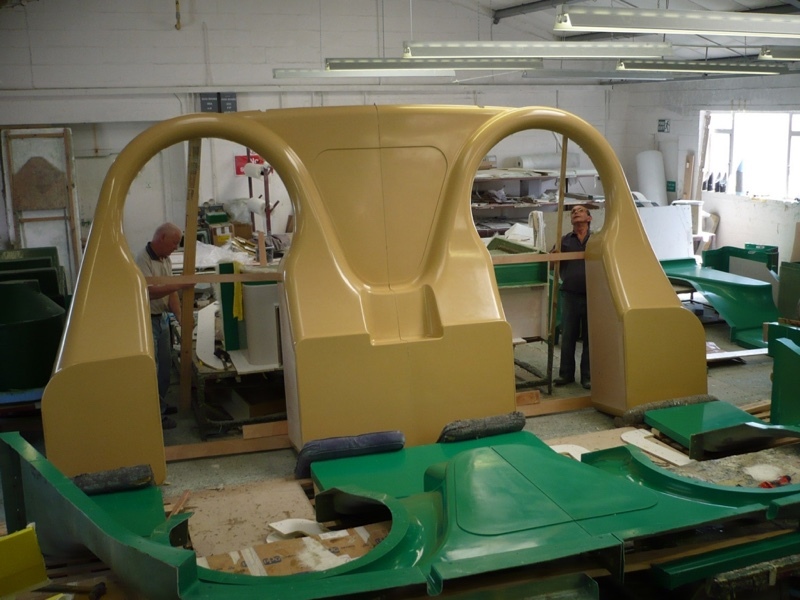 Our patterns are made in a variety of, or combination of materials that include MDF, Melamine, Ureol tooling board and Epoxy tooling board. 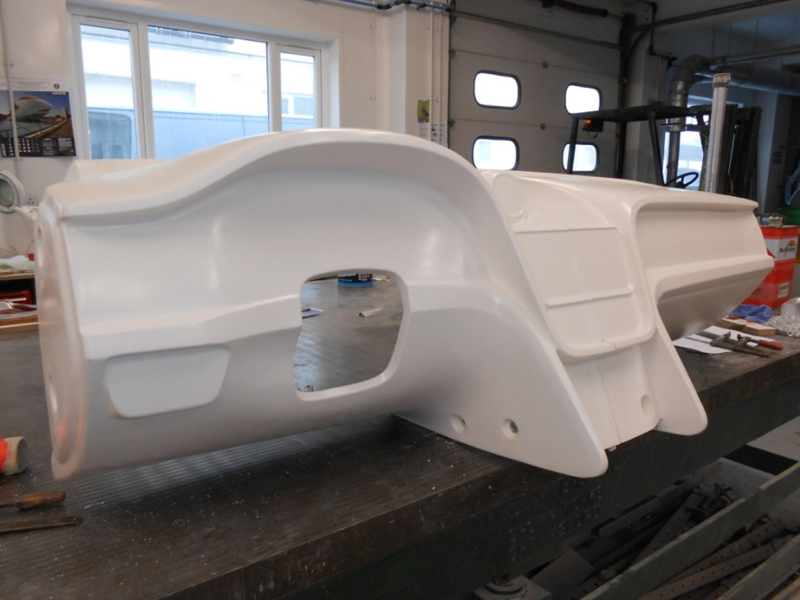 GRP components require finishing and to achieve this, trimming /router masks and fixturing is designed and made in house. 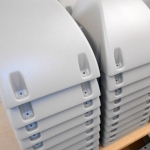 We can undertake the fitting of inserts to full assembly of GRP parts, together with client free issue parts. As with many other composite materials, the two materials act together, each overcoming the deficits of the other. Whereas the plastic resins are strong in compressive loading and relatively weak in tensile loading, the glass fibres are very strong in tension, but have no strength against compression. 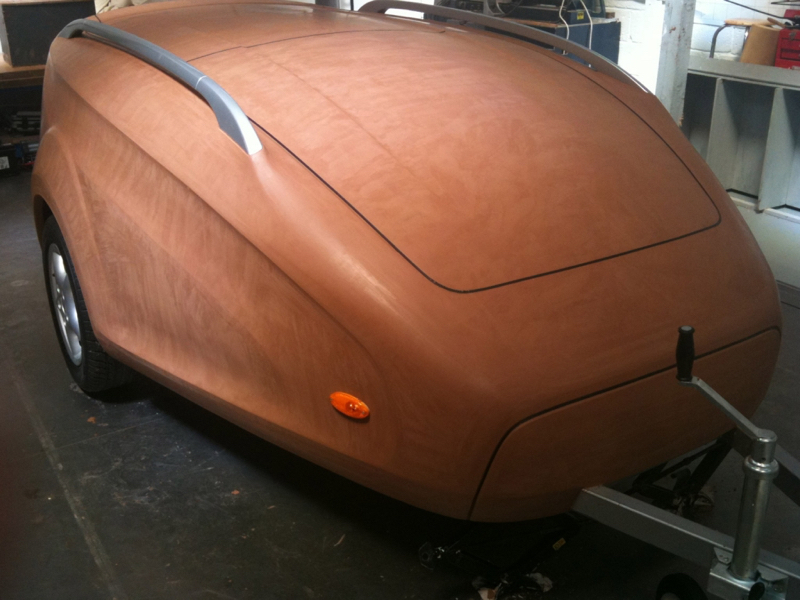 Fibreglass & Composites- the only logical choice! Want to be sure that when selecting a company to support you, the right first time principle is achieved. Then look no further than our family business established 62 years offering a wealth of experience and specialisation originally in the pattern making side of the GRP process giving that confidence in knowing that, what we do, with what you want, always achieves or exceeds our customers expectations. The patterns are made either by using our large CNC machine or using traditional hand making methods by our own time served skilled team. 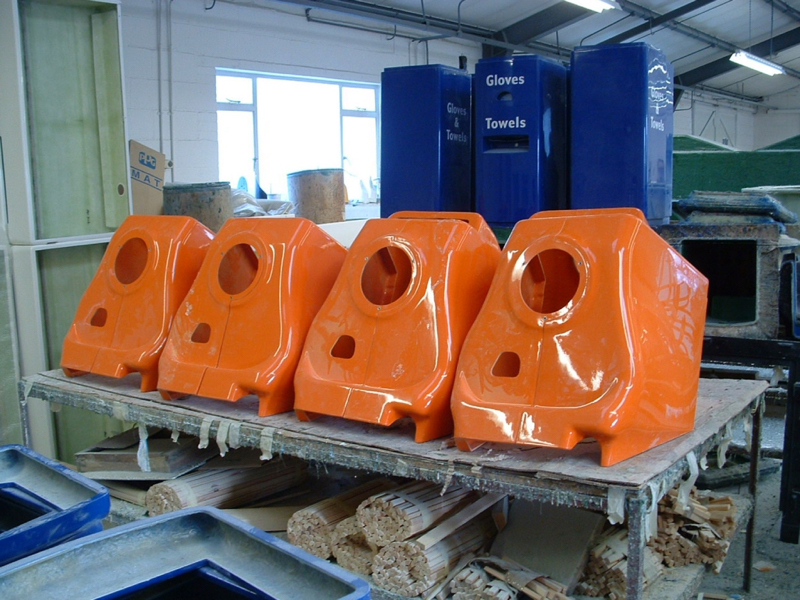 GRP suits the manufacture of a wide range of parts, depending on the application of the end product. 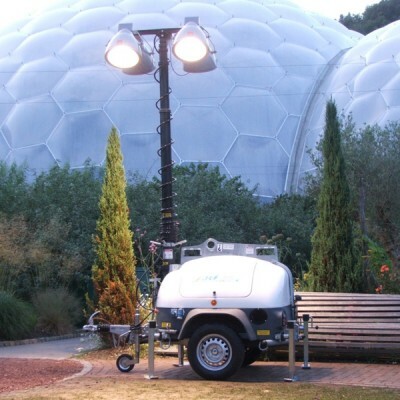 But the capability of GRP to withstand the most severe climatic or hazardous conditions and its non- conductivity of electricity makes it an obvious choice for many. 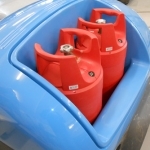 Adaptability and versatility as a material to create parts from saucepan lid size to storage tank covers many metres in diameter captures the scope available. 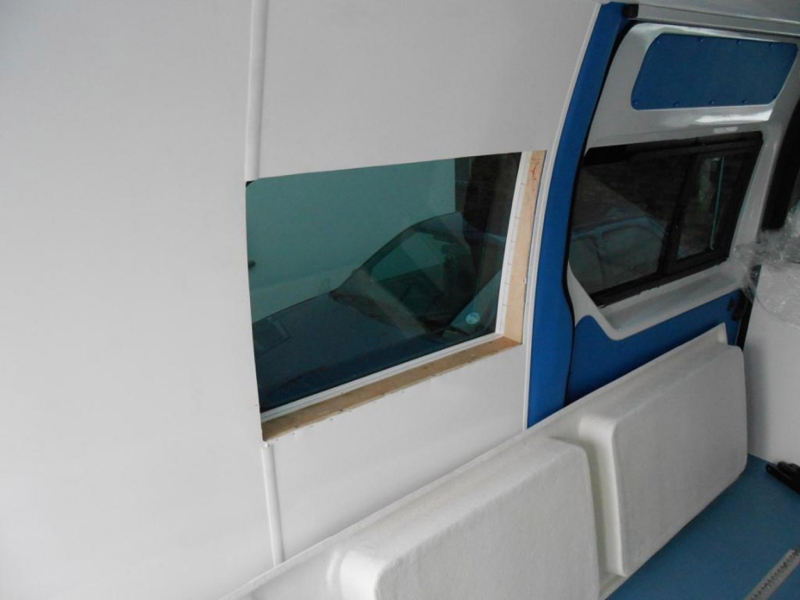 As it implies the word fibreglass or GRP ‘does exactly what is says ’ glass fibres in forms ranging from chop strand matting to many woven fabrics. 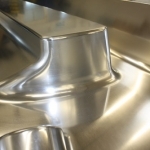 These various weaves depending on how they are laid during the application of liquid resin can impart very high stiffness and resistance to bending in a panel or beam or compressive strength in a column design. 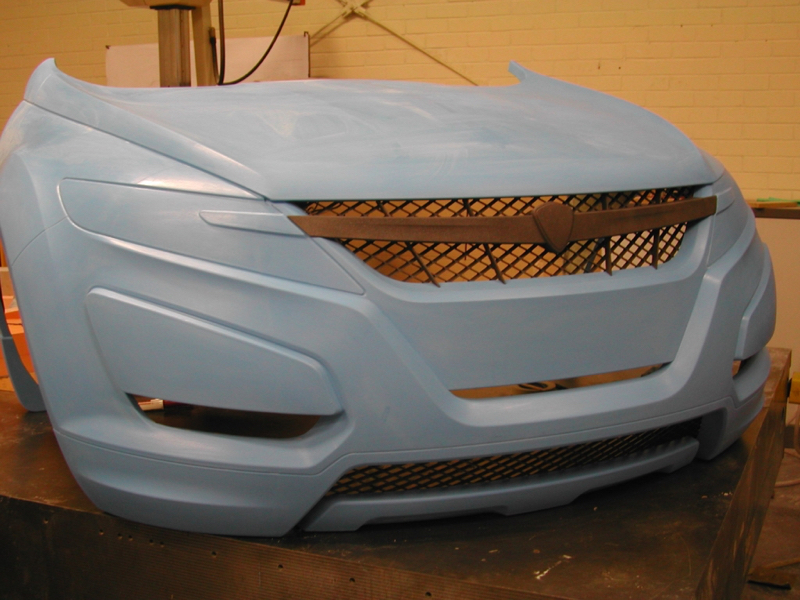 Glass Reinforced Plastic or GRP, as the fibreglass process is usually called, defines the glass fibres as reinforcing the plastic or resin. Generally the process is described by the application of a thermosetting resin, which can be polyester, vinylester or maybe epoxy into and over glass reinforcement as matting or as woven type, that is almost like cloth. But in more detail the process is as follows: Using the master mould, 4 to5 coats of releasing wax will be built up by hand, like polish. 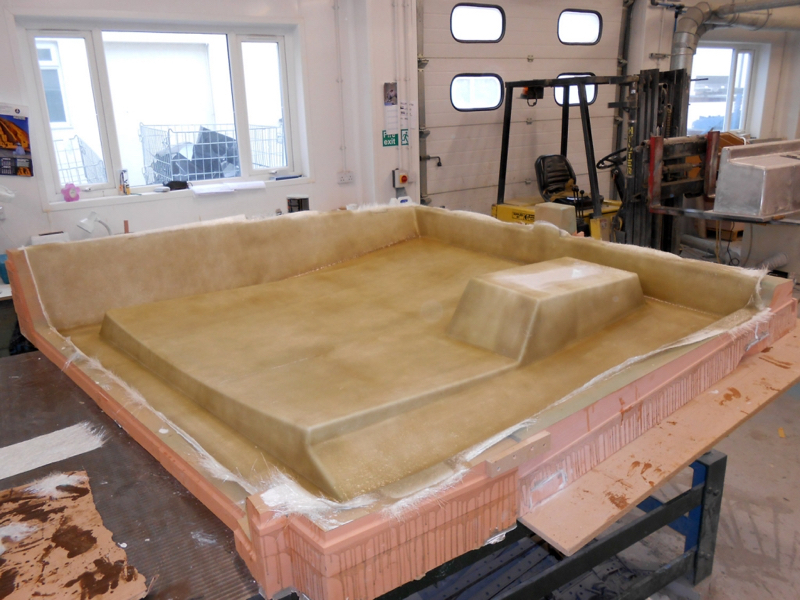 This will ensure that the finish cured fibreglass part will be able to be removed from mould. 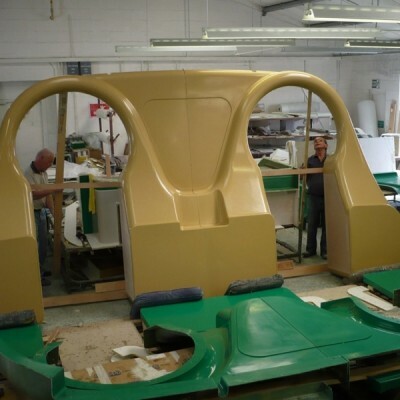 Resin ‘gelcoat’, which is the material which gives most fibreglass parts that high gloss appearance is applied in 2 coats over the release wax, then allowed to become ‘tacky’. At this point, tissue type glass can be brushed into any fine detail areas, then repeat layers of glass and resin are built up to part thickness. Each layer rollered to be sure that the liquid resin has fully impregnated each layer of glass and that any air entrapment is removed. Mechanical parts, can these be moulded in? 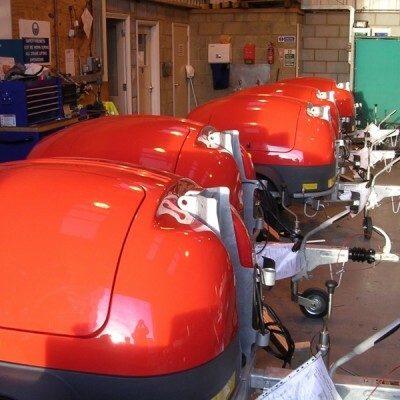 Yes they can, at APHollings mechanical parts eg. Hinges, gas strut anchor attachment points. 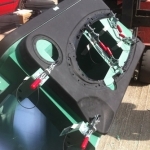 Also areas of bushes and studs are regularly built in to enable matching halves of machine covers to align perfectly. So within reason almost any mechanical feature can be included into the moulding. Can fibreglass be trimmed or drilled? 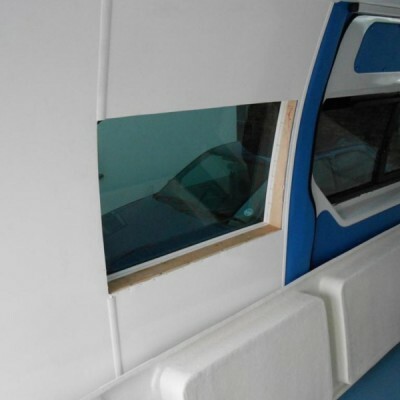 Fibreglass is trimmed often to deliver a clean edge to a moulding, which by the nature of method will always have a feathering of glass in some areas. 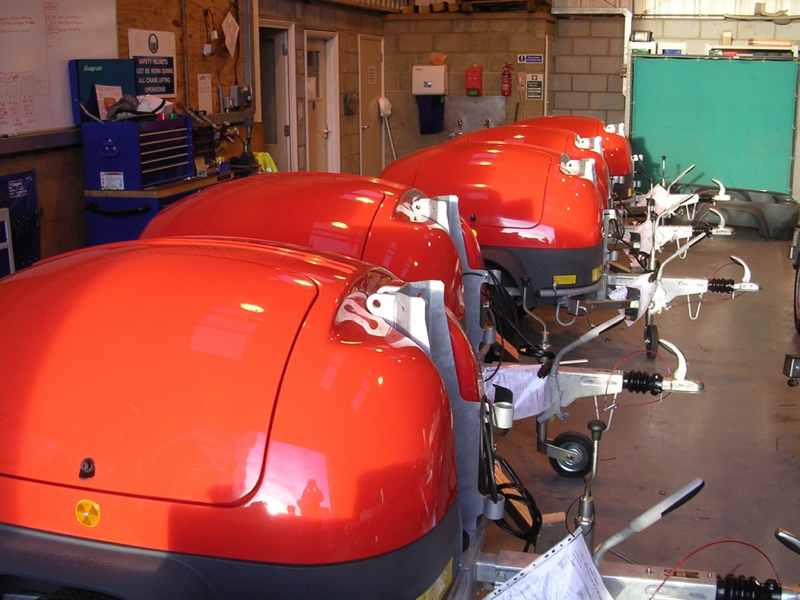 Using trimming fixtures and routing machines fitted with diamond tipped cutters the parts are cut back to pre marked mould witness lines. 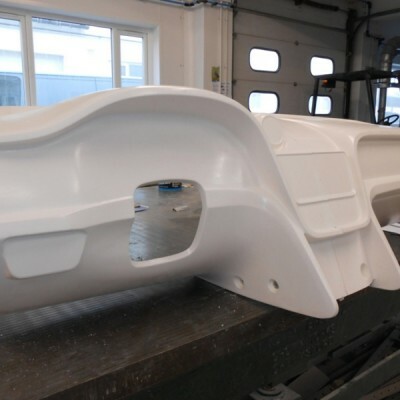 Apertures and fixing holes for access or covers to the inside of assembly of parts are also routed out and de-burred to leave a perfect fibreglass component. 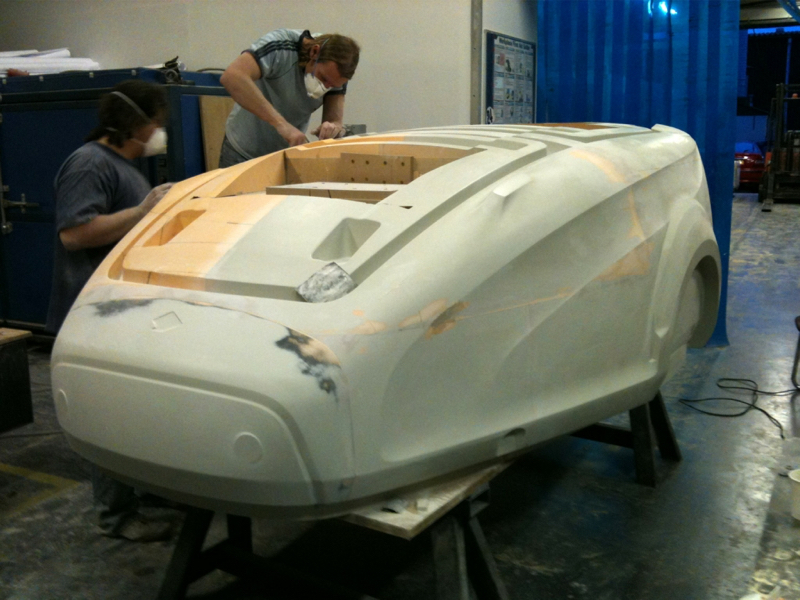 The exterior finish of a fibreglass part is as high, as any buyer of a sports car would expect on a GRP body. This analogy is used to capture the quality of gloss, almost lacquer like finish achievable. Of course this type of finish is only possible by absolute attention to the detail finish of the master pattern. 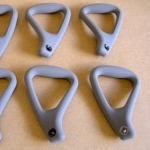 These are either CNC machined in high density tooling board as one piece, or as a set of parts for very large patterns, subsequently keyed together bonded and reinforced. 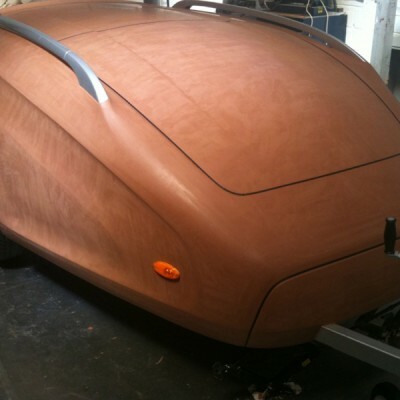 Traditional wood materials are also used to make the simpler less contoured patterns offering a low cost option. 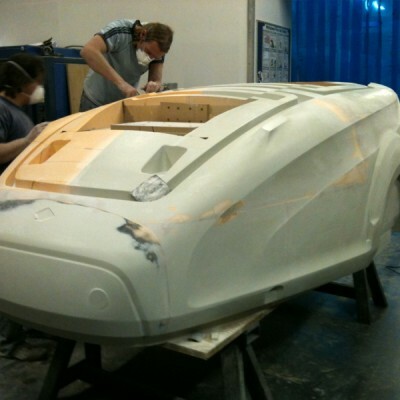 But whether machine or hand made the resulting pattern will have patient super finishing applied. 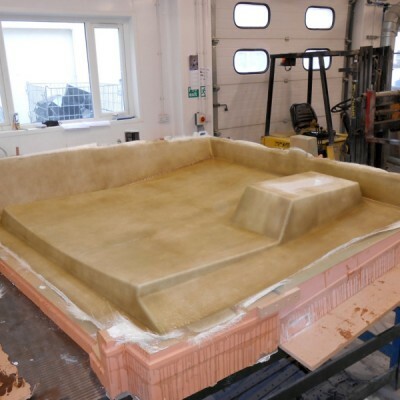 This pattern will be used to make the structurally supported master mould, from which one or more fibreglass parts will be laid up. 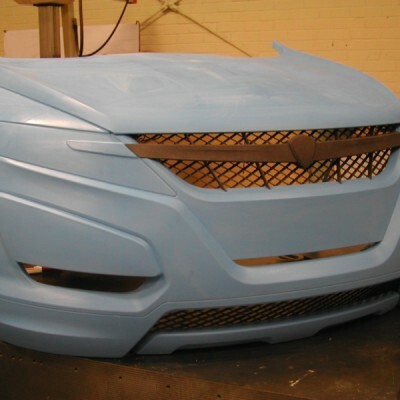 The gelcoat, which is pigmented resin to any desired colour from the RAL or Pantone range, within manufacturers range or matched from customers master sample In addition to the finish from in mould gelcoat, spray finishes can be applied that can achieve metallic effects, the finish can be matt if required by finishing the pattern matt. 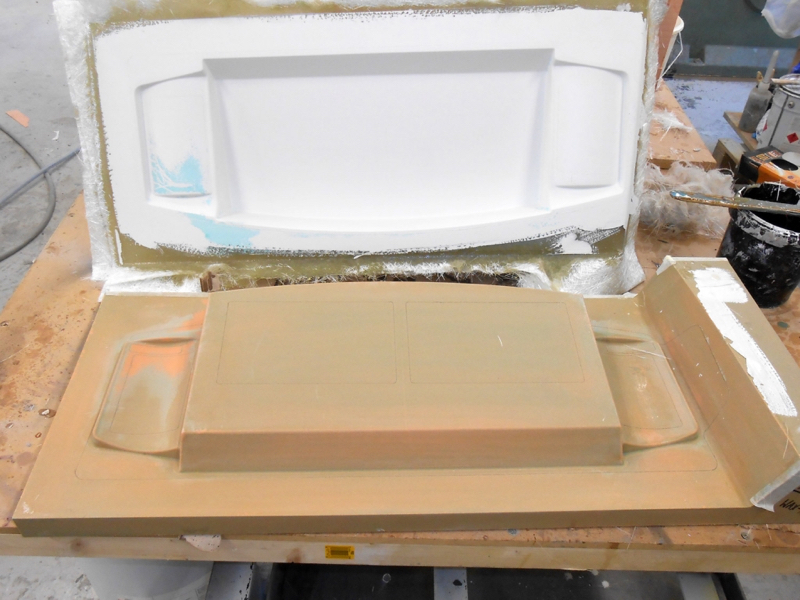 This will then also give the same matt surface finish to the master mould. No limitations allows complete freedom for the creative designer or stylist, of course we may then have to machine the pattern and incorporate some loose sections to allow us to eject the part from the mould. 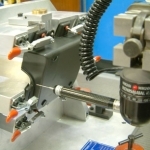 It is worth bearing in mind at the design stage, that the less undercut areas you design in to the tool the better, as this will have a bearing on the part manufacturing cost. 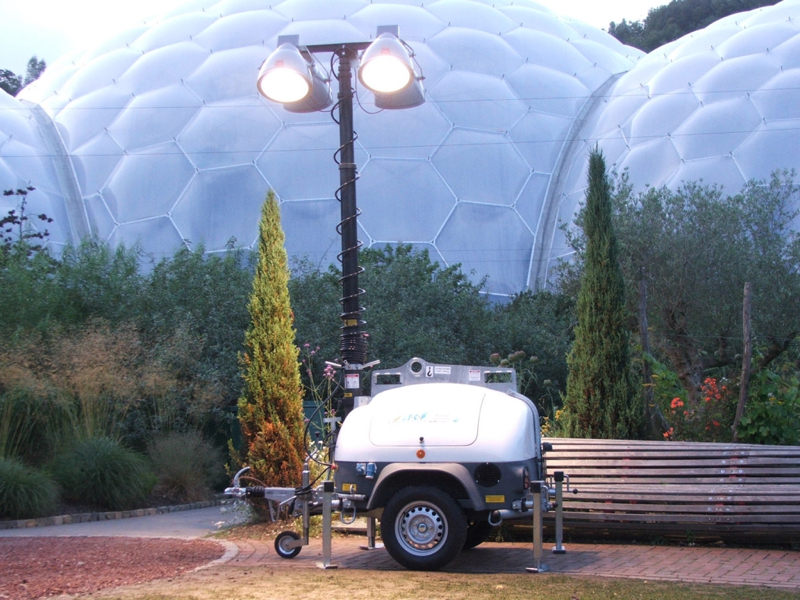 APH are always happy to assist in the design, if you have any questions that you would like answering. 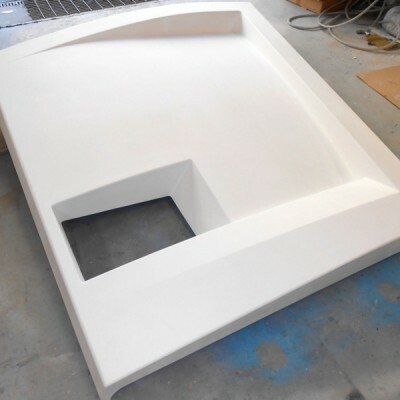 Can architectural parts be made in GRP? 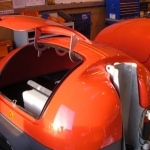 Yes, this is an area where the benefit of using fibreglass parts has been recognised for many years, but as with everything, new applications are often encountered. 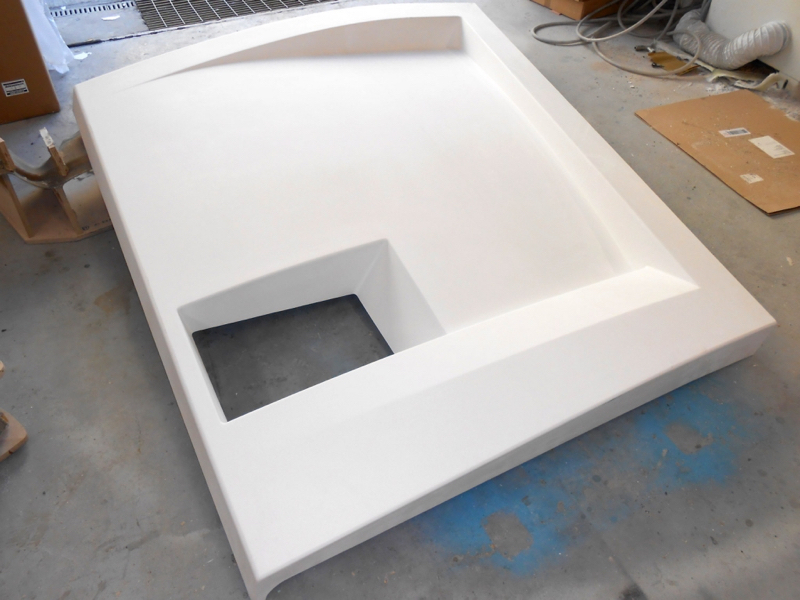 Historically, architects have specified fibreglass building components literally from the ground up. Including foundation, drainage covers, planter boxes& landscaping seating, porch columns, windows and sills, roof cornice, dentil moulding, ridge sections, dormer canopies, cosmetic chimney stacks, roof mounted air conditioning & services fibreglass housings. 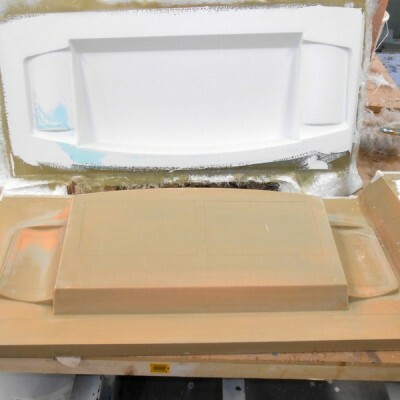 Particularly in London, where sympathetic matching of new to old demands that surviving pieces of period cornice or similar architecture, are used by APH to create master patterns, that will be used to make replacement fibreglass mouldings that will last for years to come.